Many years ago, I had the good fortune to meet Robert Ouimet who runs several food processing companies in Montreal. He is a very intriguing and spiritual Catholic who rarely follows the traditional business way. One unusual business decision was that he named one of his companies, Tomasso, after the towering Catholic intellectual, Tomasso D’Aquino (Thomas Aquinas). What an odd thing-a food processing company named after a thirteenth century saint. Very odd indeed. Keep a hold of that thought as I turn to the present. As I write this, the Aquinas Center will celebrate the feast day of Saint Thomas Aquinas this coming Thursday at Emory University. It is right and proper for the Aquinas Center to participate in this service for our namesake. After all he is the patron saint of students and universities. Next year, we will begin a series of Aquinas lectures to commemorate his life, thought, influence, and celebration of the life of the mind. Why do we still celebrate Aquinas? It is a fair question to ask of a thirteenth century Dominican friar. The reason is that Saint Thomas’s writings still illuminate the Catholic faith in many ways whether at a company in Montreal or an academic center in Atlanta, Georgia. 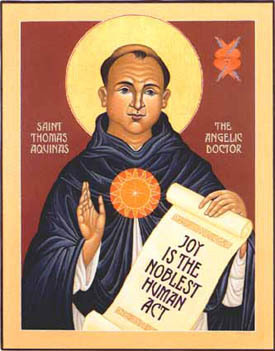 Other than the bible, Aquinas is the most cited source in papal encyclicals and the Catechism of the Catholic Church. His range of interests included but was not limited to philosophy, theology, law, music, and many other areas. Despite the passing of years, he still deeply informs our faith. He is a light that is always there with a store of wisdom. Wisdom or prudence as he might have called it is knowing how to do the right thing in the right way at the right time. If you see a painting of Aquinas, he almost always has a sun on his chest reflecting the radiance of his wisdom. Wisdom is a scarce commodity in any age, but we are thirsting for it now more than ever. It requires patience, perseverance, experience, study, and an insatiable ability to listen and learn. If we follow the path of the Angelic Doctor, we will study the bible, the tradition of the Church, the revered teachers of our faith like the Doctors of the Church. We should also, like Aquinas, not be afraid to mine for insights the wisdom external to our faith. For Aquinas, this took the form of learning in depth and with nuance the recently recovered works of the ancient pagan philosopher, Aristotle, and more contemporary thinkers for Aquinas like the great rabbinic genius, Maimonides, and towering figures in Islam like Avicenna and Averroes. In his own day, Aquinas’s interest in non-Christian sources was considered suspicious. For this reason, after Aquinas’s death, Bishop Tempier in Paris condemned some of his ideas. This condemnation was of course lifted, and Aquinas was canonized and made a Doctor of the Church meaning that his teaching has special insight and authority for Catholics. 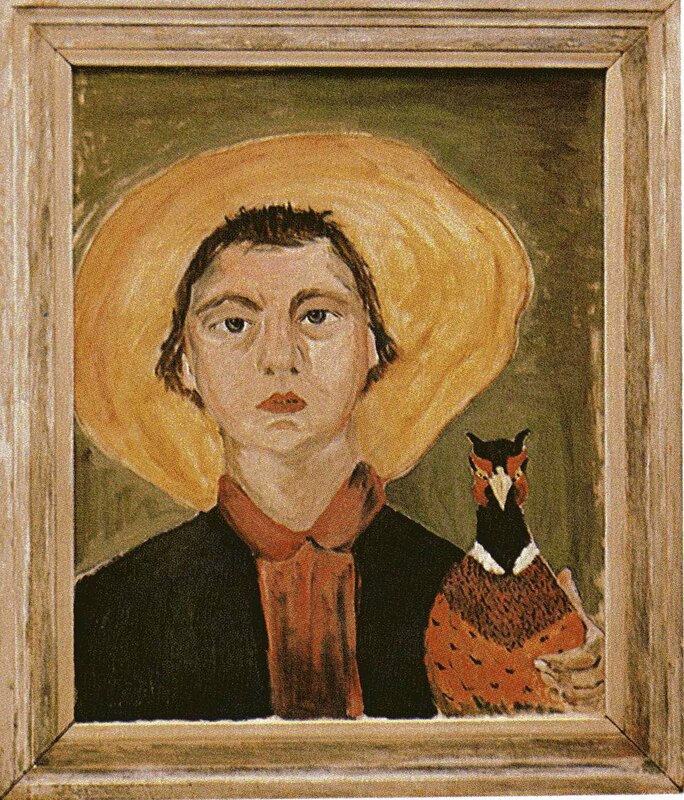 The writer, Flannery O’Connor, read Aquinas’s master work, Summa Theologiae, very carefully. As a self-described “Hillbilly Thomist”, she brought Thomistic ideas to inform her numinous and startling novels and short stories about the obscure lives of small town and rural Georgia. I couldn’t make any judgment on the Summa, except to say this: I read it for about twenty minutes every night before I go to bed. If my mother were to come in during this process and say, ‘Turn off that light. It’s late’. I with a lifted finger and broad bland beatific expression, would reply, ‘On the contrary, I answer that the light, being eternal and limitless, cannot be turned off. Shut your eyes,’ or some such thing. Like Ms. O’Connor, we are thankful to Tomasso D’Aquino. We celebrate and relish at the Aquinas Center the exploration of the Catholic Church and its thinkers, but also other relevant thinkers and ideas. In this exploration, we seek to provide food for thought for any pilgrim seeking wisdom in this world. Finally, let us remember that such a search is not a heavy burden but a great joy for as Aquinas reminded us, “Of all the pursuits open to the human person, the search for wisdom is more perfect, more sublime, more profitable and more full of joy.” So let us be joyful this week.